Before you begin to shop around for an auto loan to buy a car, it is an excellent idea that you start by knowing what is in your credit report. Doing so not only helps you to access the right financing but can also save you thousands of dollars’ worth of loan interest if you take your time to improve your credit score. Additionally, you might also be eligible for an auto insurance discount if you have completed a NYS defensive driving course as explained below. Why Check Your Credit Score Before Buying a Car? There are two significant reasons why you should check your credit score before buying a car. Firstly, your credit score influences the willingness of lenders to finance your auto purchase. You can think of it as a measure of your trustworthiness to your loan financiers based on your previous debts and payments history. Secondly, although you may get an auto loan with a very low credit score, your interest rates will be much higher. 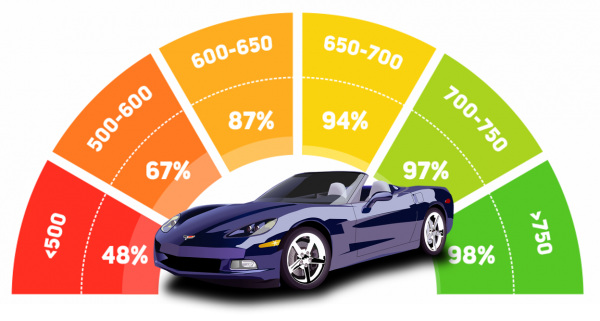 Therefore, knowing your credit score in advance gives you time to improve your rating and thus avoid paying very high interest rates on your auto loan. Remember, lowering your interest rate even by a small percentage loan’s lifespan. Does Your Credit Score Drop Every Time You Have It Checked? Myth or Real? It is important to know that not all searches into your credit score cause it to drop. Instead, the primary determining factor is whether you are placing a hard or soft inquiry. As per the Fair Credit Reporting Act, the reason for accessing your credit score and the person pulling it are the two major factors that determine if the inquiry is hard or soft as explained below. • Hard inquiry: Occurs if your business or lender obtains your credit report following an application for a loan or credit. Every hard inquiry reflects on your credit report and will, therefore, drop your score. • Soft inquiry: Results if you or a lender obtains your credit score report to serve as a background check without necessarily applying for the loan. For instance, if you want to get a quote for your auto loan, the lender will do a soft search, and doing so will not affect your credit score. Additionally, you can personally check your credit rating as many times as necessary because it would only amount to a soft inquiry that cannot hurt your score in any way. Most insurance providers grant a defensive driving discount only one car and you should have completed the course with a passing grade to earn it. Ensure that you have a defensive driving certification before buying a car because you can it to negotiate an insurance discount that will go a long way in keeping your premiums as low as possible. Additionally, let different car dealers access your credit score only to quote their interest rates for your auto loan. This way, you avoid hurting your credit score with hard inquiries that come with applying for a car loan which you are not sure you can qualify.